The AmpliFi Instant 802.11ac Wireless Router features an easy-to-use touchscreen display, one Gigabit Ethernet port, a WAN port, and an Ethernet cable. 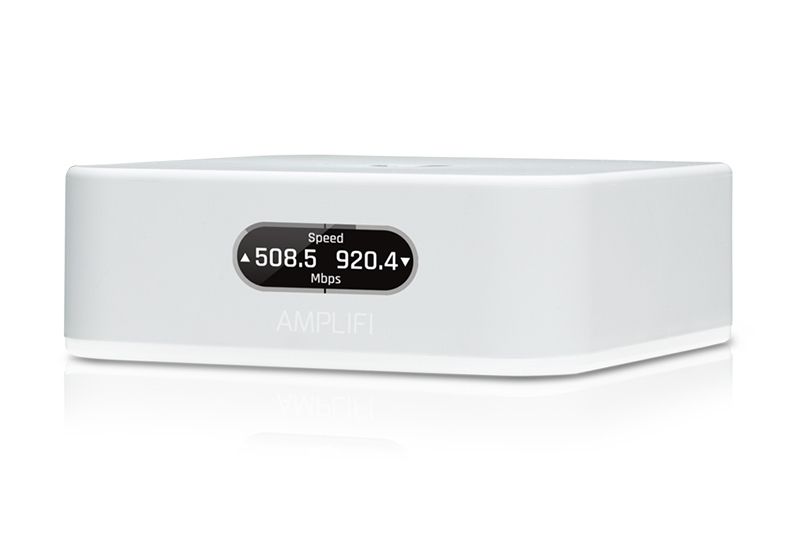 The AmpliFi Router provides excellent coverage for standard-sized homes of approximately 2,000 sq ft. Expand as needed by adding MeshPoints to your mesh Wi-Fi system.